Not a storm as such but more a threathening storm (and we did get it later in the day). 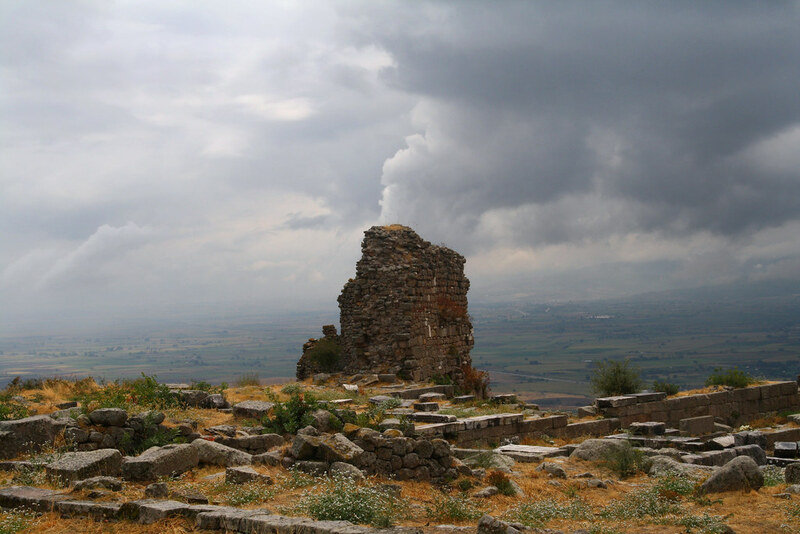 This photo was taken at the ancient hill city of Pergamom (nowadays Bergama) in Turkey, the country we travelled last year. I titled it "Not a chimney" as the clouds look like smoke coming out of the ancient piece of brick building in the middle. The acropolis is situated on a high hill overlooking the valleys around it (as you can see) and you need to go up a frighteningly steep and narrow road... with a tour bus! I don't have any storm photos handy, so yet another one with threathening clouds. These are the Cliffs of Moher in Irish County Clare, where most of our European weather rolls in over Ireland, discharging rain more often than not (we still get enough ourselves though). 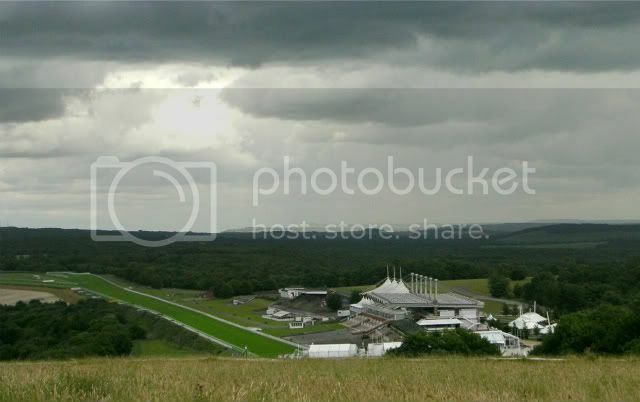 Not so glorious Goodwood. At least it wasn't a raceday. Last edited by P'ter; Aug 17 2010 at 06:45 PM. Hail from a storm that washed out our driveway and the road. This was taken six hours after the storm was over. 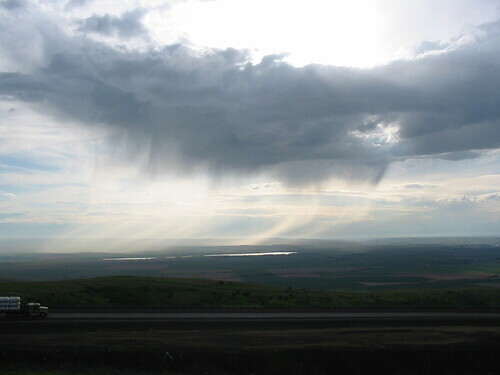 I never saw this phenomenon until I got out west in the open spaces. I'm quite fascinated by it. Last edited by blondmom989; Mar 21 2011 at 02:26 PM. THe aftermath of the storm I was waiting for most of yesterday. It finally rained overnight. Would you believe this pic was taken just before 8am? ETA: View of my backyard. I really love both of Hans' photos. Interesting places with interesting weather. Jube's and Pam's rainbows are my favorite. THough Blondmom's second picture is impressive too. Hans I love that "smokin" chimney. At least that's what it looked like to me. I also love the greens in P'ter photo. I really like both of Pam's pictures. 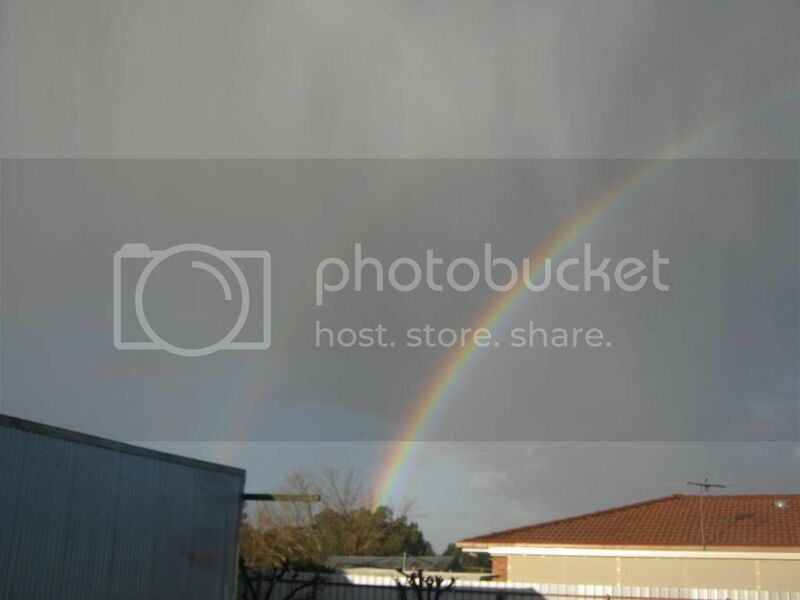 The rainbow picture is beautiful (lovely soft light on the ground) and the hail really impressive. Han's "chimney that isn't a chimney" is a good statement too. 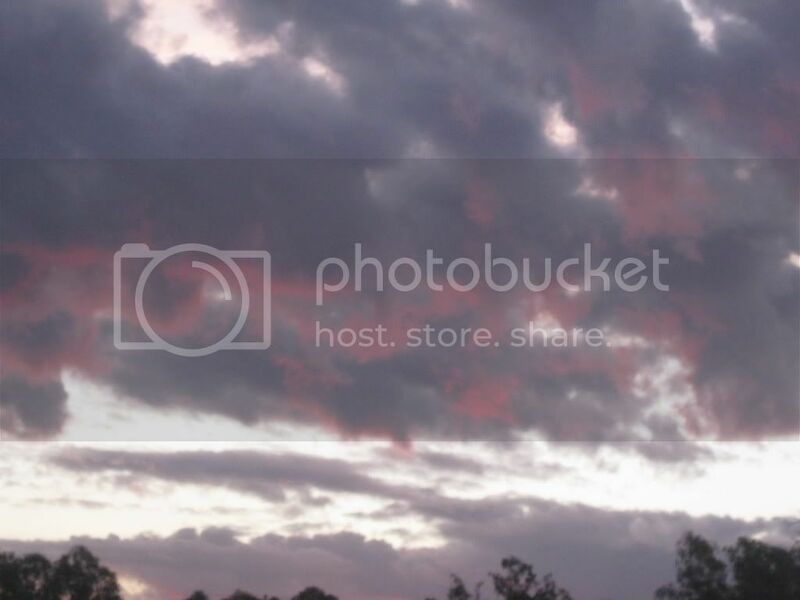 Blondmom, there's a fantastic panorama hiding inside your "phenomenon" picture. Try chopping off the dark part at the bottom with the lorry and the really bright bit at the top.